The Lagos State Government has confirmed another three cases of Lassa fever under its care, saying that the victims were responding to treatment. The three cases tested positive for Lassa fever after five suspected cases were placed on 21 days surveillance. However, Director, Lagos State Disease Control, Dr Eniola Erinosho, said there was no need for panic as the State Government was working in collaboration with the Lagos University Teaching Hospital(LUTH), the Lagos State University Teaching Hospital(LASUTH) and other relevant health institutions to contain the outbreak. He said Lassa fever was less dangerous than Ebola Virus disease because most people who tested positive for Lassa fever, when detected early and treated, get well. In healthcare settings, prevention is by standard precautions where all blood and body fluids are considered potentially infectious. Standard precautions are applied to all patients at all times and in all health care settings. These include hand hygiene, use of appropriate personal protective equipment (PPE), waste disposal, cleaning and disinfection of medical equipment and environment, safe injection practices. 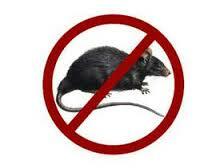 “Deratisation was carried out by the Lagos State government in our markets and we killed 7,000 rats. But we try to prevent rats from coming into our markets. What the rats are after are left-over foods, we should also prevent rats from coming near our foods, that will help,” he said. On Lassa fever diagnosis, he said:“Lassa virus infections can only be diagnosed definitively in a Virology laboratory using the following tests: the reverse transcriptase polymerase chain reaction (RT-PCR) assay, testing for IgM, antigen detection tests and virus isolation by cell culture. These tests can be done at Virology Reference Laboratory at Lagos University Teaching Hospital, Idi-Araba, Lagos. He also clarified that the 100 hospital workers who came in contact with the index case were not quarantined but allowed to go about their work while being monitored.” A thermometer has been given to each of them to check their body temperature twice a day and report the figures in a chart as part of the monitoring,” he said.